The hill station of Ooty is one of the popular tourist destinations of the country offering lush greenery, refreshing gardens, serene lakes, adventurous sports and a soothing atmosphere. Ooty tour can be a perfect break from the hustle bustle of cities like Hyderabad. One can find various Ooty packages from Hyderabad. However, it is also important to select one from a reliable service provider so as to ensure a hassle free trip. Ooty Planet, an important arm of Holidays DNA offers wide range of Ooty packages from Hyderabad. there are packages suiting varying preferences and budget as well a differing trip duration. One can choose any of the Ooty package from Hyderabad based on his or her needs and choices. Some of the common kinds of Ooty packages offered by us from the city are honeymoon packages, family tour packages, adventure packages, business tour packages and many more. If clients have their specific idea of the Ooty tour, they can even get a Ooty package customised. 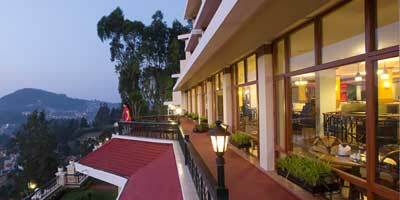 In each of the Ooty package we offer various choices in terms of accommodation, transportation. sightseeing, activities, commuting facilities as well as accessing other facilities. For transportation, one can choose any of the modes. The nearest airport between Hyderabad and Ooty is at Coimbatore. Mettupalayam is the nearest railway station which is located 47 km from Ooty. There are also various buses services operating between Ooty and Hyderabad as well as various cab services. With various Ooty packages from Hyderabad by your side, you can choose the best suitable option and have your dream vacation come true. Located at an altitude of 2286 m in the Nilgiri District of Tamil Nadu, Ootacamund (Ooty) is one of the popular hill stations of the country. Also known as Udhagamandalam, Ooty presents its tourists with amazing holidaying options consisting of lush greenery, breathtaking scenic beauty, exciting outdoor activities and a calm environment. The hill station is quite popularly known as "Queen of Hill Stations". Presenting a refreshing break from the pollution and crowd of cities, Ooty rejuvenates each and everyone. Ooty tours from Hyderabad promise tourists with few refreshing moments with their loved ones. However, for an enjoyable trip one also needs access to required facilities at the right time and suitable accommodation. Hyderabad Ooty package is one of the best ways to plan your trip to without without having to worry about any of the arrangements. Ooty Planet, which is an important division of Holidays DNA offers a wide range of packages catering to different purposes of visit and varying budget limits. Some of the kinds of Ooty Hyderabad packages are Honeymoon packages, family tour packages, adventure packages, business tour packages and many more. We at Ooty planet also offer customised Hyderabad Ooty tour packages taking into consideration all the specific requirements and budget limit of tourists. Thus, by using our extensive knowledge, personalised services and genuine suggestions, we ensure that our customers have a vacation in exactly the way they want it to be. Hyderabad and Ooty are well connected to each other. Tourists can choose any of the modes of transportation varying from airways to roadways to railways. The distance between Hyderabad and Ooty is approximately 823 km. If travelling by road, it will take slightly more than 13 hours to reach Ooty. Along with the Ooty Hyderabad packages we also offer tourists with detailed and updated information on the hill station so as to assist them in having a hassle free vacation. With Ooty Planet by their side, tourists can have a memorable vacation. Our travel experts provide you with suggestions on aspects such as on the best time to visit Ooty, details on sightseeing, commuting within the hill station, places to shop for souvenirs, cuisine and about places to eat, things to do, etc.